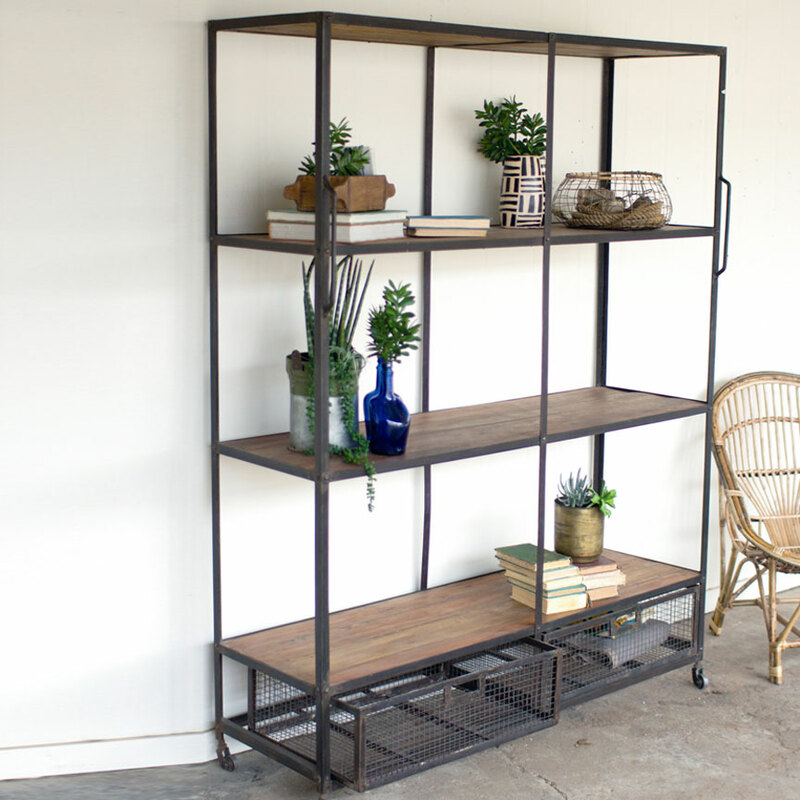 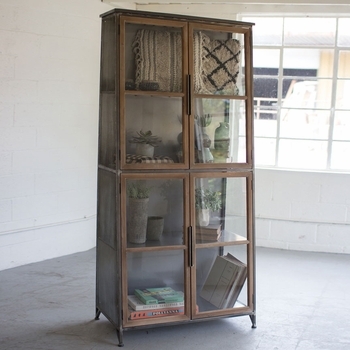 A nifty blend of iron, wood and wire on casters. Plenty of open shelving including space on top, and equipped with a duo of slide out mesh drawers at the base. 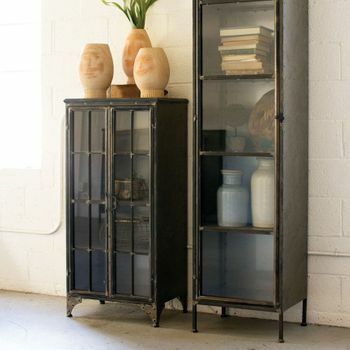 Decorative metal handles on the piece help you guide it to the perfect location.